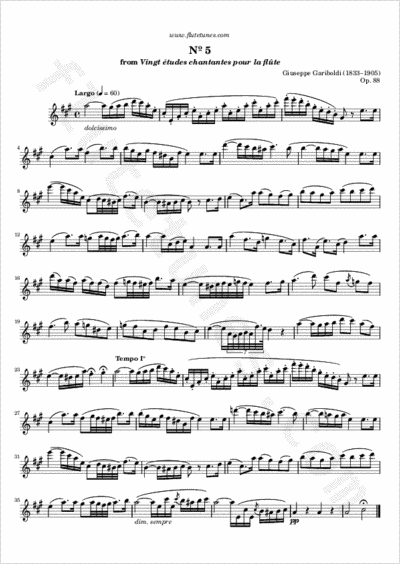 This Largo is the fifth study from Italian flutist and composer Giuseppe Gariboldi's Vingt études chantantes pour la flûte (“Twenty melodious studies for flute”), Op. 88. Remember: just because a study has a slow tempo, it doesn't mean it's easy to play well! Make sure you play the written rhythms accurately, and always, always pay careful attention to the quality of your sound.